You are currently browsing the tag archive for the ‘Stephanie Gunn’ tag. 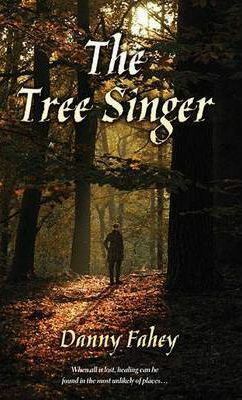 The Tree Singer is the debut young adult fantasy novel from Danny Fahey, published by Dragonfall Press. 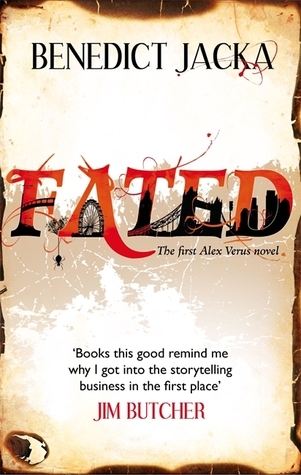 Fated is the first book in the urban fantasy Alex Verus series by Benedict Jacka. 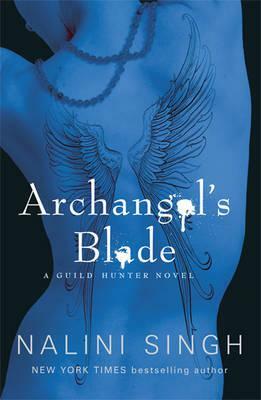 Archangels’ Blade is the fourth book in Nalini Singh’s paranormal romance Guild Hunter series. In the world of the Guild Hunter books, angels exist, with the most powerful of them, the archangels, ruling sections of the world. Vampires also exist, and are Made by the angels, and subsequently bound to those angels for a period of indenture. Hunters are humans who have the ability to sense vampires, and are employed to seek out rogue vampires who break their contracts with their angels. The first three books in this series followed the Guild Hunter Elena and her relationship with the archangel Raphael. Archangel’s Blade departs from this storyline, instead following the vampire Dmitri, Raphael’s second-in-command, and his relationship with the hunter Honor. Some readers and fans of the previous books will no doubt be disappointed with this change of focus, especially since both Elena and Raphael only serve very small parts in this book. 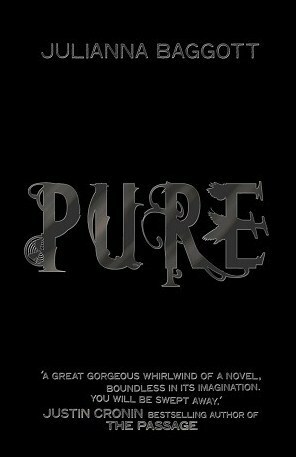 Pure is the first book in the post-apocalyptic YA trilogy by Julianna Baggott. Nine years prior, the Detonations occurred. The presumably-nuclear explosions killed many, and those who survived were physically fused to whatever they were holding or touching during the Detonations. Pressia is an almost-sixteen-year-old survivor of the Detonations who barely remembers the time Before. The bombs left her with a hand fused to a doll’s head and a crescent-shaped scar on her face. Others bear different scars – her grandfather has a fan fused into his throat, and others bear glass or metal in their skin. Some are fused to other humans or animals, and still others, known as Dusts, are fused to the very earth. 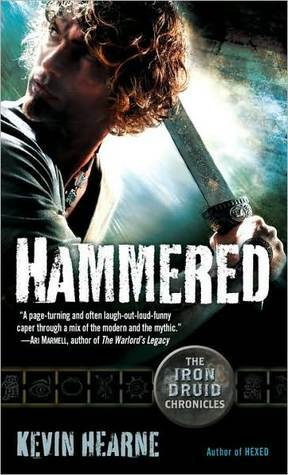 Hammered is the third book in Kevin Hearne’s urban fantasy series, The Iron Druid Chronicles. Atticus is a two-thousand-year-old druid, the last of his line. He has kept himself alive for an extended period by use of magic and herbs, and by keeping out of the way of gods. In the first book of this series, events transpired that brought him to the attention of too many gods, and he made choices that led to the events in this book, which sees him dealing with Thor, the Norse god of thunder. This book continues in the same vein as the first two books: the general tone is light and humorous. Unlike the first two books, the reader is given a decent amount of Atticus’ personal back story for the first time, with information given specifically about a lost love of his, paralleling one of the motivating storylines of the book: the slaughter of the vampire Leif’s family by Thor. 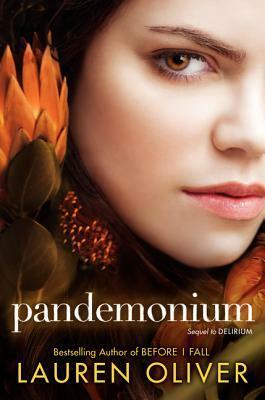 Pandemonium is the second book in Lauren Oliver’s YA trilogy beginning with Delirium. In the future world of these books, love has been declared a disease – deemed amor deliria nervosa. Several decades after its identification as a disease, and forty-three years before the events of Delirium, a cure was discovered. When people reach the age of eighteen, they undergo brain surgery to cure them of the deliria. Before the cure, they are assessed and matched to the individual they are to marry and have children with. Lena, the teenage protagonist of the books, had assumed that, like her older sister, she would be cured when she turned eighteen. Lena looked forward to her cure, and to freedom from the disease. Her mother had been driven mad by the deliria, remaining in love with her family and friends despite three attempted cures. In Deliria, Lena’s carefully planned life was upturned when she met Alex, an uncured “Invalid”, and she succumbed to the deliria herself, falling in love with Alex. 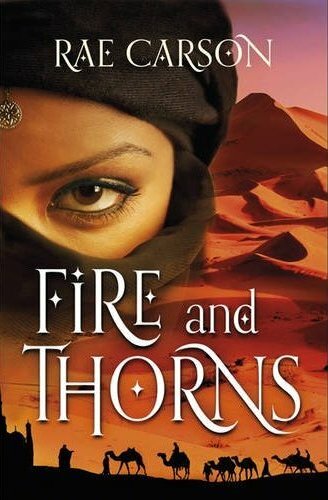 Fire and Thorns (released as The Girl of Fire and Thorns in the United States) is the first book in the YA Fire and Thorns trilogy by Rae Carson, and is Carson’s debut novel. One individual in every century is chosen at their baptism by God, a beam of light descending from above to indicate that a Godstone has been lodged in their navel. The Godstone is a living jewel which remains part of their body, only detaching at the bearer’s death. It indicates that the bearer has been chosen by God for greatness, and is required to perform an act of service during their lifetime. None know what this act is, and most of the bearers die young, many apparently without accomplishing their destiny. 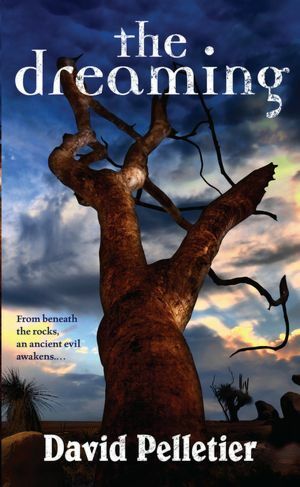 The Dreaming is the debut novel from Australia author David Pelletier. It was published by Dragonfall Press, an independent publisher of science fiction and fantasy based in Perth, Western Australia. Launched in 2010, the press aims to discover, publish and promote Australian and New Zealand authors of speculative fiction. The book follows three young Indigenous siblings – Kevin, Alison and Jimmy, who are uprooted from their life with their father in outback Australia and moved to Perth to live with relatives. As the three children struggle to adapt to their new life, Alison finds herself drawn to the nearby national park and the darkness that dwells beneath that land. She is forced into confrontation with her own past as she fights to keep her brothers safe from the horrors both human and inhuman. Dead Reckoning is the eleventh book in the Sookie Stackhouse/Southern Vampire Mysteries series by Charlaine Harris, now filmed as the television series True Blood. Sookie Stackhouse, telepathic waitress and part fairy, is now involved with the vampire Eric and sharing her house with two of her fairy relatives – her cousin Claude and great-uncle Dermot. After much tumult, her life has achieved something like stability. But this is Sookie, and that stability is never going to last for long. 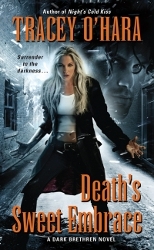 Death’s Sweet Embrace is the second book in Tracey O’Hara’s Dark Brethren urban fantasy series. The first book was Night’s Cold Kiss. In the Dark Brethren world, humans and parahumans live together in an uneasy truce. Parahumans in this world include the Aeternus (vampires) and Animalians (shapeshifters). The first book in this series focused on the Aeternus and the Venators, humans who hunt rogue Aeternus. Specifically, the book’s protagonist was the Venator Antoinette Petrescu, and the main story arc followed her relationship with the Aeternus Christian. The second book shifts focus to the Animalians, the focal character also changing to a snow leopard shapeshifter, Kitt Jordan. Kitt was a minor character in the first novel, a lecturer in parahuman forensic pathology. She is called to be part of a task force investigating a serial killer targeting young shapeshifters; the task force also includes Antoinette. Her work also brings her back into contact with the werewolf Raven, her one-time lover, and her estranged twin daughters.